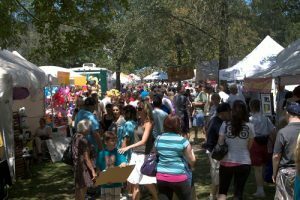 New Milford’s signature summer festival, Village Fair Days, celebrates its 50th anniversary July 28 and 29, with festivities on the Village Green that include live entertainment, Bingo, bouncy houses, a food court and nearly 200 vendor and community booths. 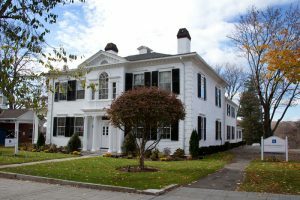 On Friday, one of those booths will be set up outside Cramer & Anderson, across from the Green at 51 Main St.
Our flagship office is located in the historic 1793 Elijah Boardman House, whose namesake was an important post-Revolutionary War era businessman, U.S. Senator and real estate investor. In addition to business cards and booklets regarding the firm, staff will be handing out candy and several special giveaways. To find out what they are, stop by and see us! Attorneys will also be available to pop out of the office to answer questions that visitors to the booth might have. 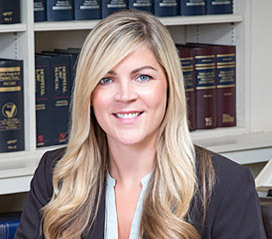 “I’m honored to be a member of the Chamber board, and appreciate the great job the Fair Days Committee did in planning this year’s 50th anniversary edition of Village Fair Days,” said Attorney Miranda, who values the opportunity to contribute to the Chamber’s efforts to develop business in New Milford, and encourage economic growth, stability, and collegiality among local businesses. Village Fair Days, held from 10 a.m. to 10 p.m. each day, has new features this year that include a New Milford High School Booster Club Dunk Tank, and a Cruising Bank Street car show on Friday, from 4 to 8 p.m. The full schedule is posted on the Chamber’s website, and those who plan to attend can watch the Chamber’s Facebook page for updates.